Please visit the Adopt a Weim Section. We strongly recommend that you read About the Breed and take the Are You Weim Ready Quiz BEFORE you decide to adopt a Weimaraner. The information provided will give you a clear understanding of the breed and its requirements which will help you make the right decision for you and your family. The first step in possibly finding you a wonderful rescued Weim is to fill out an adoption application. This provides us with information about you, your home, your family, and gives us a general idea of what you are looking for in a family friend. Please do not be impulsive in adopting a Weim. Choosing a lifetime companion is a very important decision and not one to be done in haste. We must be sure our Weims are placed in homes where they will be loved and properly cared for. Some of these Weims have already been in multiple homes, and our goal is to make sure they will not be moved around anymore. Please visit the Foster A Weim section. We desperately need foster homes as there are more Weims needing foster homes than we have places for. When you become a foster home, you agree to take in a homeless Weimaraner and give them the love, care, and attention they need to be able to move on to their forever home via adoption. You play a role in determining who the adopter of your foster Weim will be. LWR pays for all vetting, medical expenses, and more. Fostering a Weimaraner does not need to cost you a penny. LWR does not have a physical shelter. We rely on foster homes (and sometimes boarding situations when we are desperate) to house and take care of our Weims prior to adoption. Please consider being a foster home as it is a very rewarding experience. LWR is always looking for volunteers. 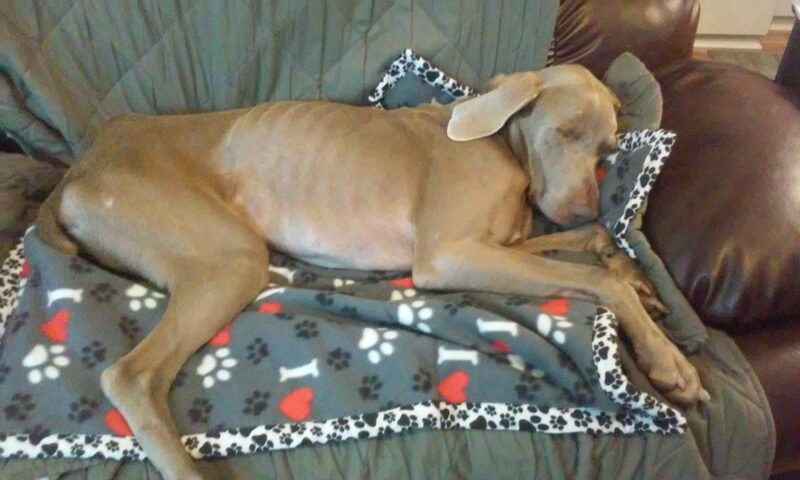 There are many ways you can make a difference in the life of a rescued Weimaraner. You can help drive Weims from one place to another, conduct home visits on applicants in your area, participate in special events, be a foster home, and more. Please visit our Volunteer page and complete our Volunteer Application. If you wish to adopt, please go to the Adoption section and complete an online adoption application. If you need to surrender a dog, please go to the Surrender section and complete an online Surrender/Intake inquiry. For general questions, click on Contact Us and complete the form. Many expenses are involved in the pre-adoption process of our Weims such as veterinary care, insurance premiums, food, toys, the making of the adoption packets that accompany each adopted Weim to their new home, postage fees, and transportation costs. The costs to prepare many of our Weims for adoption far outweigh the adoption fee for the Weim. 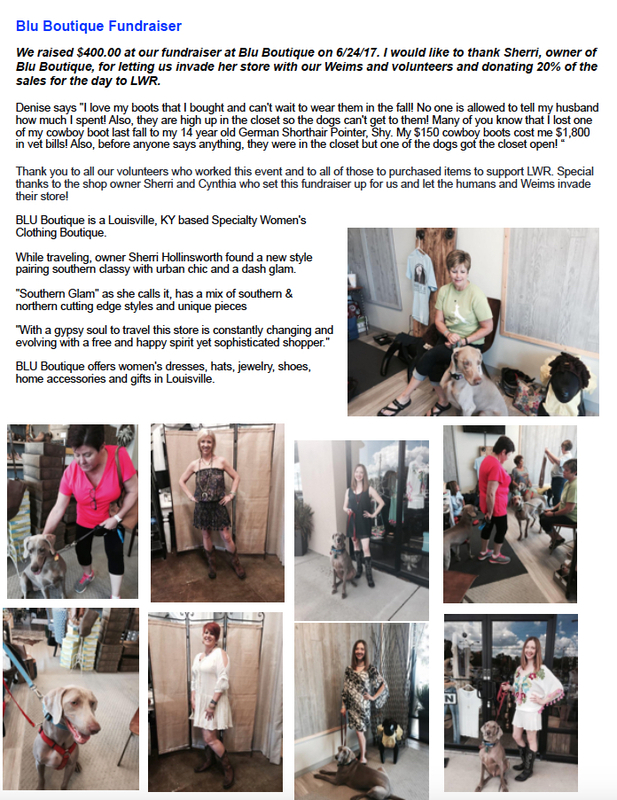 LWR is a volunteer-based organization that exists solely on adoption fees, fundraising events, and individual donations. Winston is 3 years old, and has renal disease. We are still in the process of determining the type of renal disease he has and the proper treatment for it. Since coming into rescue in mid October 2017, LWR has incurred approximately $2,700 in vet bills for Winston, and we have more bills yet to come. His monthly food and medicine alone is over $300. Please help us cover his medical costs by donating. Every little bit helps. Please visit our Special Needs page to see updates on Winston and some of the pups we are helping. It is because of contributions like yours that we are able to do many great things for Weims. You may make a direct, tax deductible monetary donation for our Weims by clicking on the link below.